If you've ever wondered what might happen should the cast and stage hands fall out just before the curtain rises, then The Stage Hands is your chance to find out. And a date between the 2nd and 7th December at the Waterloo East Theatre in London is one to put in your diary. 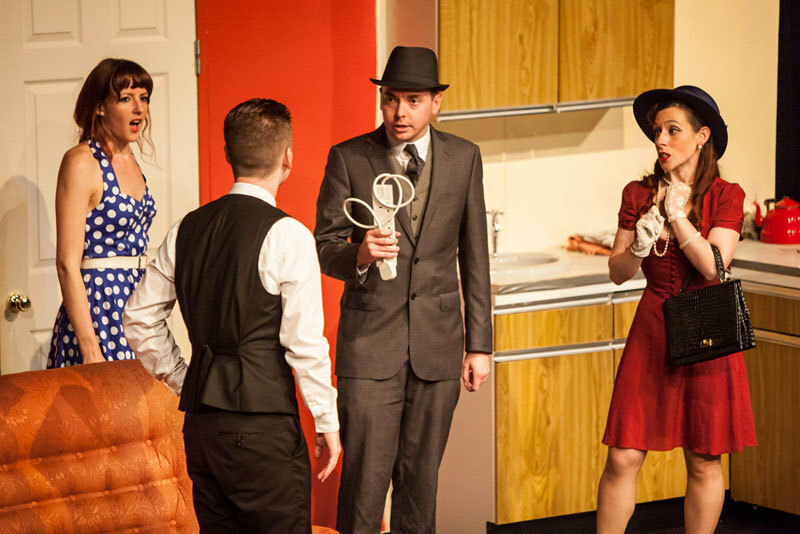 Written by Rebecca Callaghan, this comedy is a play within a play. Behind the scenes, the company is preparing to put on a 1950's fictional play called Another Day in Paradise. Just before the curtains rise, tensions between the cast and crew rise even faster after various technical problems. Things begin to unravel as various parts of the company fall apart. As The Stage Hands progresses, the crew get their revenge on the cast by orchestrating a number of 'mistakes' throughout the show. Naturally, the show must go on, which leaves the cast struggling to cope, but will they be able to pull the plot back together? A very assured production of a well-structured play by a promising playwright. A great evening, full of laughter and quite a few awkward flashes of recognition. This is a writer who really understands the trials and tribulations endured by the backstage crew." Describing what inspired her to write the play, Rebecca recalls: "Most production companies I met were really good to work with, but occasionally we would get ones that were awful. I couldn't understand why they would be so unpleasant, and often wondered whether they realised that we could make them look like fools on stage if we wanted to. I thought how funny that scenario could be, and the idea came from there". The lead role will be taken by Rachel Callaghan, who added her insight as a performer into the development of Stage Hands. She says, "I have always had a passion for music and acting", she states, "and eventually that led me to performing in theatre. I have studied drama and worked with a lot of different groups - and I feel that has helped prepare me to produce. I have been exposed to a lot of different ways of working within theatre and different ways of managing a production. Like Rebecca, I've also met a lot of characters too; some great - others, not ones I'd want to work with again!" Together, the two sisters have formed RJC Productions which has put on a number of musicals and plays over the years. When asked what it is like to work together, they emphasise how much fun it can be and they are both enthusiastic about the prospect of growing a theatre production company together. Their combined experience has come together well in producing this comedy about when things go wrong. Their first production was of Rebecca's musical ROADS; a thought-provoking piece set shortly after World War One. More recently, they produced extracts of Rebecca's second musical, Francesca's Passenger as the sequel to 'Roads'. Shown at York New Musical Festival their work was critically acclaimed by the media. They are also currently working on 'Crossing the Rubicon', which the sisters are looking to develop as part of the musical trilogy. 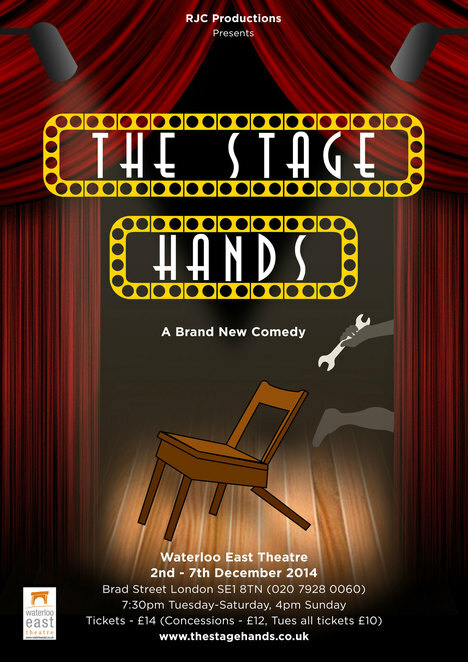 The Stage Hands will be their first production to be staged in London.